“San Sebastian” Agricultural Cooperative Society (COSANSE) was built on the 20th. of May of 1955. At its birth, joined 55 growers who trust on a cooperative association as a must to distribute profitably their own products in the local and foreign markets. 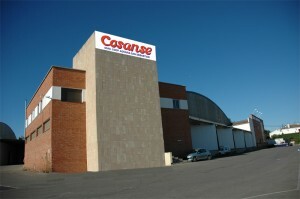 At first, Cosanse produced wines. Its main goal as an association was to increase the profit of the growers by adding productions in one hand and distribute their own products as another private company in the market. 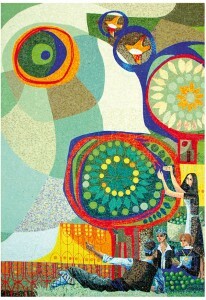 Later on, a new factory was built to produce olive oil from the olives production of their growers. The goal so far has been to produce a top quality extra virgin olive oil for the consumption of its growers, and the rest of the production to be distributed in the Spanish and European markets. During the past 50 years Cosanse has maintained a leadership position within the cooperative associations in Aragon, by both, productive organization and also by turnover. It was on 1970 when the fruit section was born. 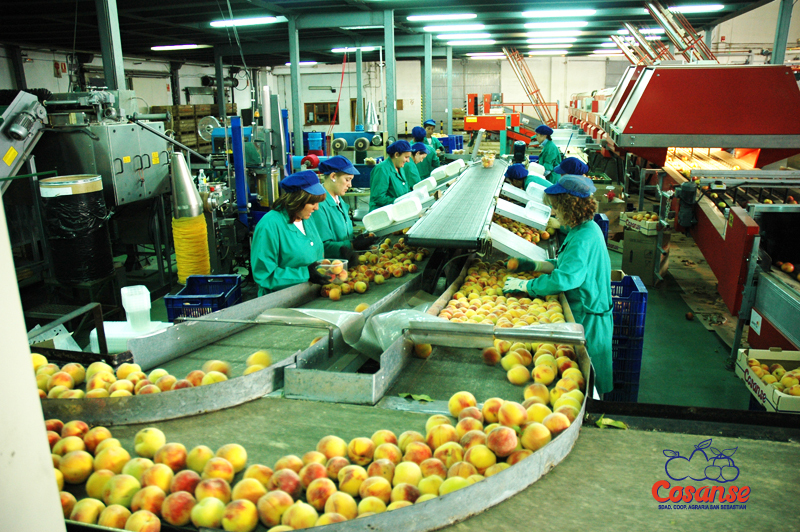 Modern facilities to handle and to commercialize good taste fruits (stone and seeds fruits) produced in the fields of the growers at La Almunia de Dª Godina and the rest of the villages of Valdejalón region of Aragón. Today´s recognition of Cosanse as a brand which distributes quality products is the result of a dairy effort of a team composed by more than 800 people including growers-partners and employees. 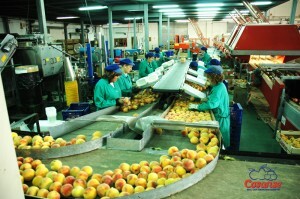 Detailed fruit production of Cosanse nowadays includes Cherries, Apricots, Plums, Nectarines, Peaches (yellow & red & white flesh, round & flat), Apples, Pears and Pumpkins. For further details please see our full production calendar. Furthermore we kindly encourage you to try our top quality extra virgin olive oil from Arbequina olive variety called Doña Godina brand, and also our brand Godín which is an extra virgin olive oil made of a mix of different local varieties of olives cultivated at our region.